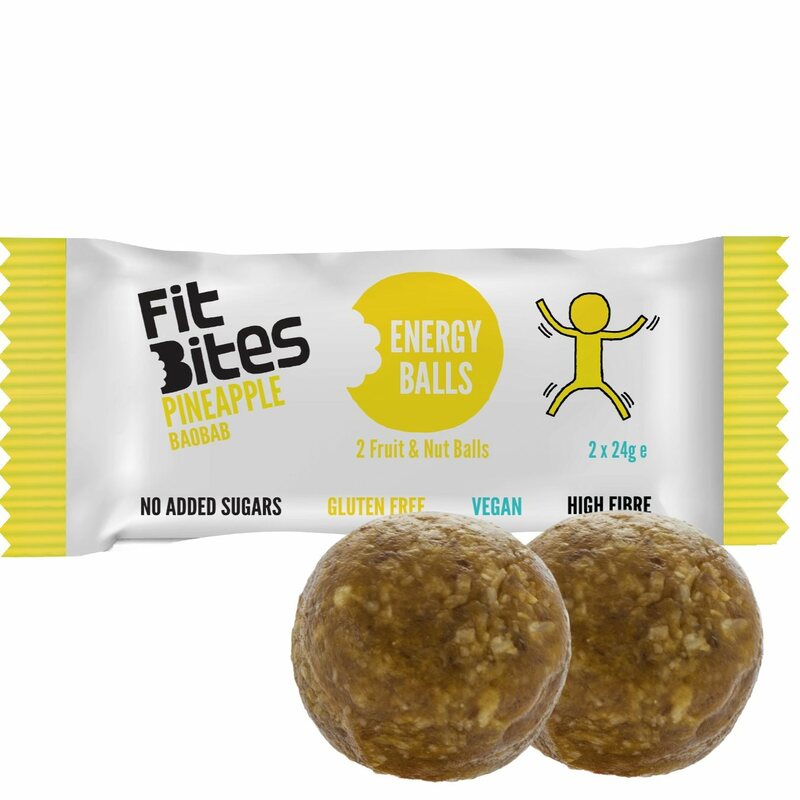 Pineapple & Baobab Natural Energy Balls are made with baobab, pineapple, almonds & coconut. 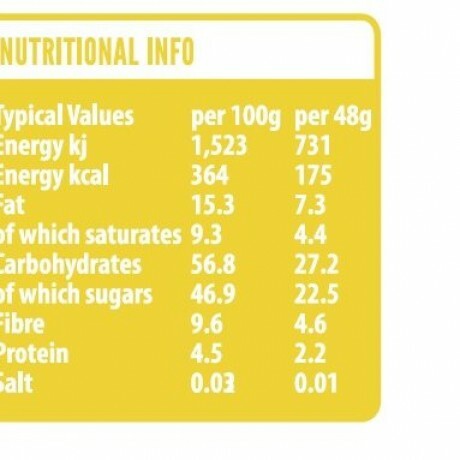 They are raw with no added sugars, gluten free, dairy-free & vegan. 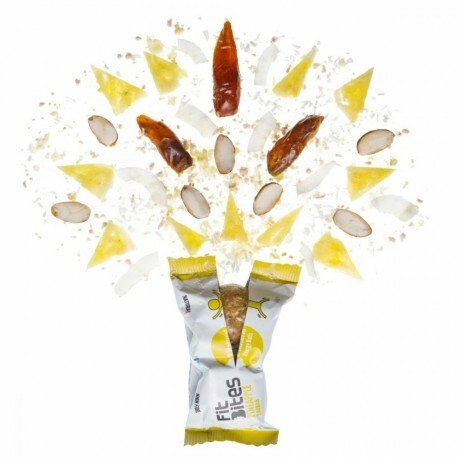 This tropical combination puts the bounce back in your step!! A great fresh & chewy texture. Baobab is incredibly good for you and is an excellent source of vitamin C, calcium, potassium, thiamin, fiber and vitamin B6 supporting immune function, energy release, skin health. FitBites handmade energy balls are packed with superfoods to give you that extra nutritional boost and can be enjoyed before or after exercise or simply as a nutritional healthy snack. 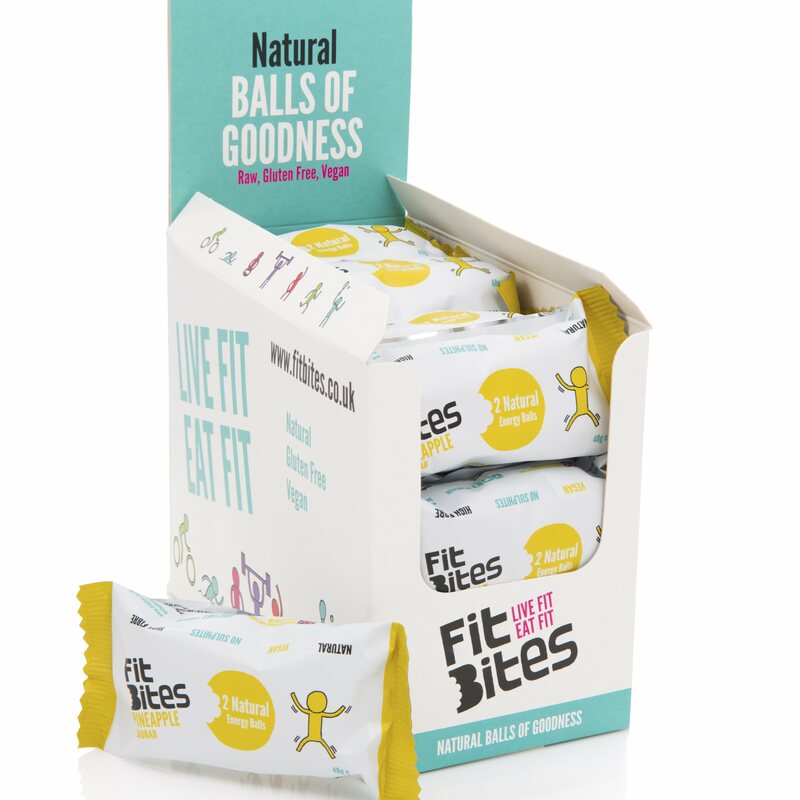 In addition, FitBites are cold-pressed, maintaining the optimal nutritional values of the quality raw organic ingredients that create these balls full of natural raw goodness. Available to buy in quantities of 16 (2 x 24g energy balls in each packet). Very good quality products, excellent service. 100% Natural, raw energy & protein balls with superfoods to give you that extra nutritional boost.